Blog / Vote | 4Good.org.nz Charitable Trust | Give $4 and feel darn good about it! 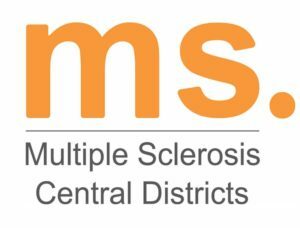 4good Charity for March 2019…….. Thanks to all who voted for the charity to support in March 2019. The seeds of Leg-Up were sown when Ros Rowe set up a small horse trekking business in 1999 to help a suicidal young woman get back on her feet by giving her a job. The trekking business did well but the casual way in which clients rode the horses didn’t sit well with the operators, and inspired the term ‘hairy bicycle syndrome’. 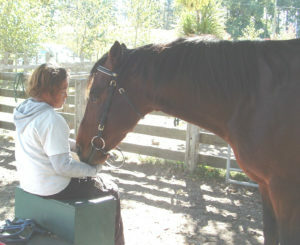 To address this concern half day Horse Sense sessions were offered in which participants learned about the nature of horses which transcended merely riding them and these became very successful. When the young woman finally found her feet and was ready to face life again, Ros felt the aim of the trekking business had been fulfilled and therefore prepared to close the business. However, there was an outcry from groups of at-risk youth and mental health clients who had found the Horse Sense sessions beneficial, so Ros closed the business and set up the Leg-Up Trust to meet the expressed needs of these people. Be safe and remember to not only be good but also give 4good! The German Shepherd Dog Rescue Trust (GSRT) is a New Zealand-based non-profit Charitable Trust, an entirely voluntary organisation dedicated to rescuing neglected, abandoned and unwanted German Shepherd Dogs (GSD) across New Zealand. 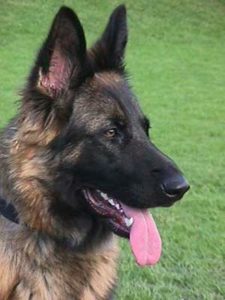 The trust was founded by Denise Sharp in the memory of Yani, Denise’s first German Shepherd Dog, who died at the age of 2 1/2 years after battling various illnesses. The Trust has 4 Trustees and a few volunteers residing in Palmerston North, Hastings, Wellington, Waikato, Whakatane, Warkworth and Auckland, who offer services such as checking potential homes for a dog, transporting the dogs to their approved homes, and helping the Trust’s founder, Denise, in organising the annual GSDRT Christmas Party and GSDRT calendar production and posting. The Trust has been applauded for its service by the North & South magazine February 2007 edition, and its founder Denise was a runner-up for the Aucklander of the Year Award 2005. 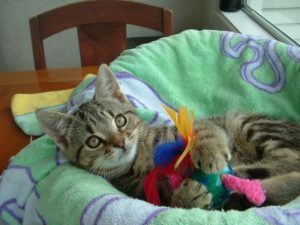 Telecom NZ also awarded Denise with their ‘Unsung Hero Award’, as did ‘Pets on the Net’ with their “Good Pet Person Award”. GSRT was featured in the Collectors Edition of the PET Magazine March 2012 and most recently in The NZ Kennel Club Dog World Magazine September 2015. (Vote in the poll below before 5pm, 31 March 2019). Which of these 3 charities has your vote for the charity we support in March 2019? 4good Charity for February 2019…….. Thanks to all who voted for the charity to support in February 2019. Te Aranui Youth Trust empowers young people in the Western Bay of Plenty to engage with their community and make self-aware and conscientious life choices. 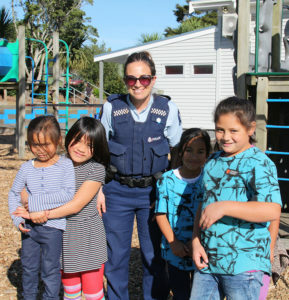 Through the delivery of Te Aranui Youth Trust, Blue Light and Police Youth Development programmes,Te Aranui Youth Trust provides a pathway to ensure local youths are positive, steadfast, well-adjusted members of the community. Growing up is a trying time and youths are very much influenced by what is going on around them. Te Aranui Youth Trust’s aim is to build courage and resilience in these young people so that they can resist negative influences and follow a positive path. In developing self-awareness and leadership potential, youths begin to thrive. Te Aranui Youth Trust provides a pathway to ensure local youths are positive, steadfast, well-adjusted members of the community. Without our assistance, local youths would be disadvantaged. Our services are for all people regardless of beliefs because we respect the values and beliefs of the Anglican Church, especially “To respond to human needs by loving service”. Plunket is a national not-for-profit organisation and New Zealand’s largest provider of support services for the development, health and wellbeing of tamariki and whānau. We are committed to providing universal access to services for all children and families regardless of ethnicity or location through our Well Child Tamariki Ora service and the range of community services offered to families. This is at the heart of who we are and is essential to provide a positive environment for parents. (Vote in the poll below before 5pm, 28 February 2019). Which of these 3 charities has your vote for the charity we support in February 2019? 4good Charity for January 2019…….. Thanks to all who voted for the charity to support in January 2019. Ignite Sport is a youth development organisation offering a unique delivery style. Using sport and recreation to engage, Ignite Sport encourages young people to consider character, values, balance and heart. Ignite Sport mentors 900+ young people annually on youth development or sports academy programmes, using recreational activities to reinforce important life skills. We have a proud history and have many years’ experience in youth development work, academy-based camps and programmes for young athletes. We work with Years 7-13 in over 10 schools in the Wellington/Kapiti region and with refugee youth on programmes that engage and empower young people to be more socially and personally responsible in all aspects of their lives, set goals and to reach their full potential. For some programmes and other areas of our work we partner with organisations such as the New Zealand Red Cross, Hutt City Council, and Wellington City Council. We also run several annual events including sports tournaments and inspirational workshops, partner with people who help out at a local sporting level, as well as being involved with activities at several community events throughout the year. Ailsa Pitcher started the website ‘IPF Support Group’ to provide a sympathetic environment for supporting people and their families/carers throughout the course of their disease. The Asthma and Respiratory Foundation was asked to take over her work for her in early 2018, by providing this information on the ARFNZ’s website to build awareness about the condition. Asthma and Respiratory Foundation NZ is New Zealand’s not-for-profit sector authority on all respiratory conditions including asthma, bronchiectasis, childhood bronchiolitis, childhood pneumonia, chronic obstructive pulmonary disease (COPD), lung cancer, obstructive sleep apnoea and now Idiopathic Pulmonary Fibrosis (IPF). 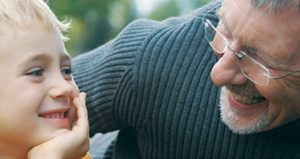 Asthma and Respiratory Foundation NZ is a registered charity and leading authority on asthma and other respiratory conditions. We advocate to government, fund research, educate on best practice, provide resources and raise awareness for 700,000 Kiwis living with a respiratory condition. We are no ordinary army. Since 1883, The Salvation Army has fought poverty and social and spiritual distress in New Zealand. We’ve been there to help more than 120,000 families and individuals in need each year—with budgeting advice, food and clothing assistance, life skills programmes and other comfort and support. At The Salvation Army we are committed to our mission of caring for people, transforming lives and reforming society. The Army’s work in over 130 countries is coordinated by our International Headquarters in London, which is the base for our international leader, General André Cox. Full-time officers and employees, along with soldiers (church members) who volunteer their skills and expertise, provide our social and church-based services. The Army has over 3000 officers and employees in New Zealand, Fiji and Tonga and is recognised as a high value employer. Choose one of these 3 charities to receive this money in January 2019 (Vote in the poll below before 5pm, 31 January 2019). Which of these 3 charities has your vote for the charity we support in January 2019? 4good Charity for November 2018…….. Thanks to all who voted for the charity to support in November 2018. We are a local independent charitable trust formed by Breast Cancer survivors offering practical and emotional support to people diagnosed with Breast Cancer living in the Northland region. A happier, healthier and safer environment for our children/tamariki created by more balanced parenting and effective engaged fathers. 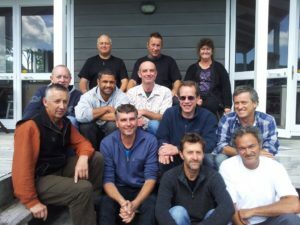 Father & Child Trust was founded in Christchurch in August 1997 by a group of dads who ‘found’ each other in Hagley Park, where their children played together. We soon realised that as ‘at-home’ and part time or solo dads, we had similar issues and wanted to support each other as parents. We receive approximately 15 percent of our operating costs from the Ministry of Health, the remaining 85 percent we must source ourselves. We rely heavily on the goodwill of the public through donations of money and/or time, and on various Trusts and other organisations such as NZ Lotteries, COGS, Eastern and Central Community Trust, etc. 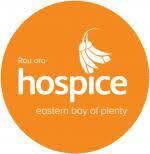 We also hold fundraising activities including an annual street appeal, raffles, and collections at other events. Choose one of these 3 charities to receive this money in December 2018 (Vote in the poll below before 5pm, 30 November 2018). Which of these 3 charities has your vote for the charity we support in November 2018?